Sumo Bar Happy in Waterloo Street is the latest food and beverage outlet by the team behind establishments such as Standing Sushi Bar and cocktail bar The Secret Mermaid. The new joint is a ramen bar with other offerings, including donburi bowls and Japanese-style sliders. It also specialises in one-cup sakes or single servings of sake that come in glass jars - perfect if you want variety and can't finish a big bottle. The lights are a little bright, but other than that, the vibe is fabulous - fun, buzzy and unpretentious. The food is good too. Try the ramen (from $17 a bowl) - robust tonkotsu broth with everything from short rib to oxtail (above). It also makes its own juicy beef gyoza ($11), which are wrapped in a house-made roasted capsicum dumpling skin. Its yuzu noodles are made from scratch and are served with the tempura mazemen ($20) and the char siew and short-rib tsukemen ($19). Be sure to order the Loco Moco Don ($18) too. Delicious house-made luncheon meat made with minced fresh Nagano pork belly is served with a piece of pan-seared foie gras and a fried quail's egg. The luncheon meat is cured for 24 hours before it is slow-roasted for four hours and then left to compress for another four hours. If only all types of luncheon meat could be made with such love, I would eat it all the time. Regent Singapore in Cuscaden Road recently underwent a revamp of its Tea Lounge, located on the lobby level of the hotel. It now has a more distinctly demarcated area accented with plants, screens and soothing hues of green. The space has transformed into a quiet contemporary indoor garden with a colonial feel. There is also a counter where desserts are made a la minute on weekdays. On weekends, the counter turns into a buffet area. From now until Sept 29, the hotel is offering a free three-tier afternoon tea set (from $48 a person, available only on weekdays) with every set purchased, but you will need to go online to sign up for a redemption voucher (details below). The set has scones, mini quiches, finger sandwiches and canapes. Each set also comes with a choice of a plated dessert, created by the hotel's pastry chef Alex Chong, who is part of Singapore's Culinary Olympics team. 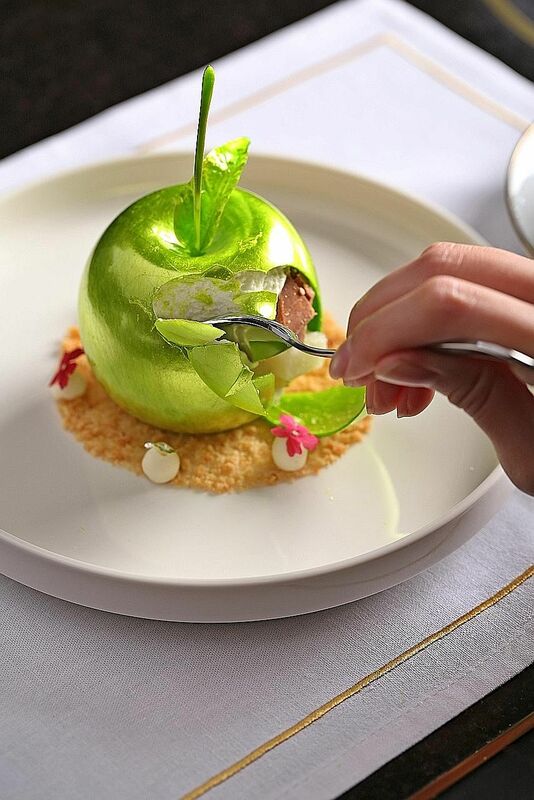 There are four plated dessert options, which include a Golden Apple (above) - crack into an eye-catching apple-shaped sugar globe filled with tangy yuzu apple compote, yogurt espuma, hazelnut molasses crumble, olive oil sponge and vanilla fromage blanc sorbet; and a Raspberry Souffle served with a peach sorbet popsicle. On weekends, tuck into a high-tea buffet (from $61 a person) with heartier offerings such as chilled soba noodles with truffle paste and scallop tartare, lobster laksa and Peking duck. There is also a caviar station at the weekend buffet. Sipping fresh coconut water is one of the best ways to cool off on a hot day. Coconut water is also a natural electrolyte and I drink it whenever I have a stomach upset. Qoolco at China Square Central runs a coconut plantation in Thailand. All its coconut products, from the soft-serve ice cream (from $2.50) to slushies (from $4.20), are made with sweet, fresh nam hom coconuts. 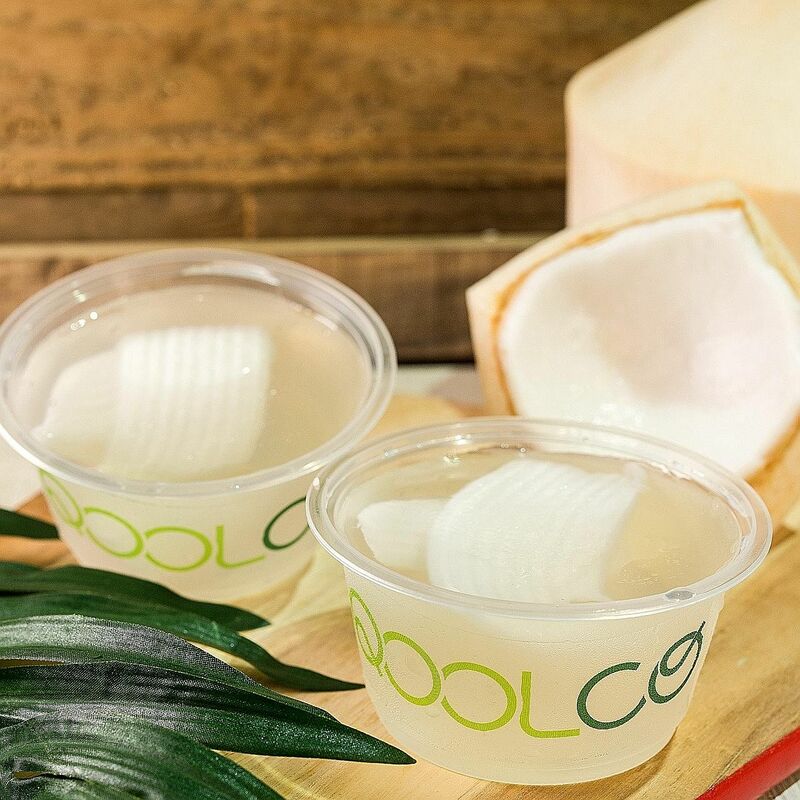 I cannot get enough of Qoolco's refreshing coconut jelly ($1.70). It is made with fresh coconut water and a couple of slices of coconut flesh. It is smooth, just wobbly enough, and while it has a similar texture to konnyaku jelly, it is lighter and less chewy. The individual packs of jelly are convenient and great for parties. They are a good alternative to the usual desserts like cakes and tarts. Deliveroo and other food delivery services have changed the way I dine in. I love the convenience of it. And these days, there is no shortage of variety when it comes to food options on Deliveroo's app and website. To up its game, it has launched a central kitchen in the East Coast area to cater to residents in Katong. Restaurants that work out of this kitchen belong to the Deliveroo Editions list. These happen to be restaurants that would not ordinarily service the East Coast area. A recent addition to the list is Vios, a new exclusive Deliveroo and delivery-only eatery that specialises in grain bowls (above). It is opened by Blu Kouzina, a Greek restaurant in Dempsey Hill that I enjoy eating at. I had the food sent to a friend's house and it was a great fuss-free meal. Grain bowls start at $12.99. Make your own, with a choice of everything from quinoa to brown rice, with toppings of vegetables, roast meats, eggplant dip, tzatziki and more. 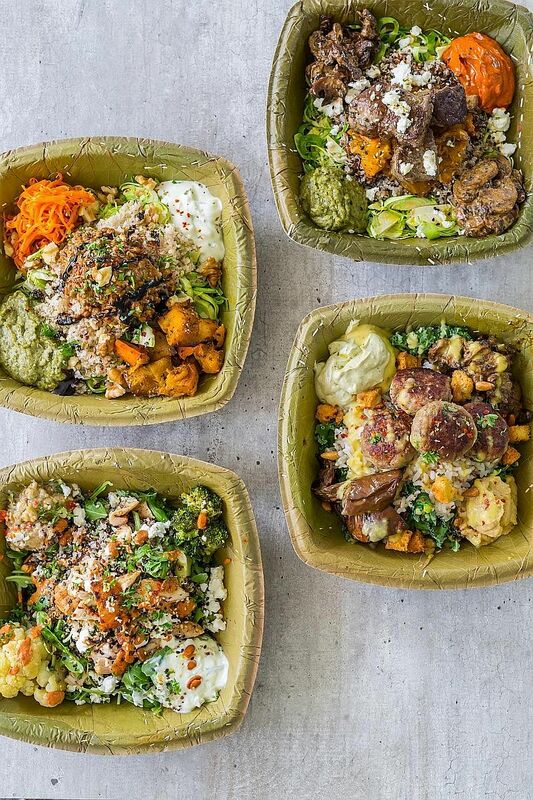 You can also opt for its tasty signature bowls such as The Guardian ($13.99), with organic spinach, quinoa, chicken, harissa, veggies and more; and Power And Recovery ($14.99), with arugula, basmati rice, house-made meat balls, sweet potato and hummus.